The new European Union High Representative for Foreign Affairs, Federica Mogherini, said in October 2014 that upholding the right to freedom of religion or belief (FoRB) is one of her top three human rights priorities. 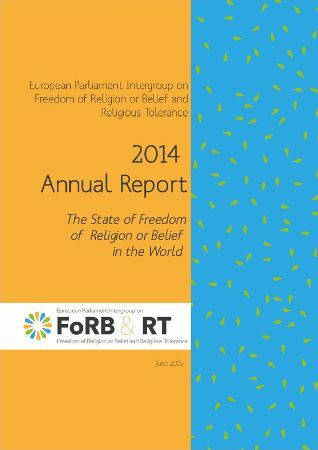 However, according to a new report by the European Parliament Intergroup on Freedom of Religion or Belief and Religious Tolerance, launched yesterday (3 June), still not enough is being done by European institutions around Article 18 of the Universal Declaration of Human Rights. “Unfortunately, we can only conclude that violations of freedom of religion or belief have become more frequent and intense,” said Member of the EU Parliament (MEP) Dennis de Jong, co-author of the report and Co-President of the Intergroup, speaking at the launch in Brussels. “We hope to shed some more light on the violation of this fundamental right and stand up for the many millions of people who are bullied, discriminated, persecuted and even killed because of their religion or belief,” added co-author and Co-President Peter van Dalen, also an MEP. The Intergroup describes itself as a group of like-minded MEPs dedicated to ensuring that the EU, in its external actions, promotes and protects the right to freedom of religion or belief. 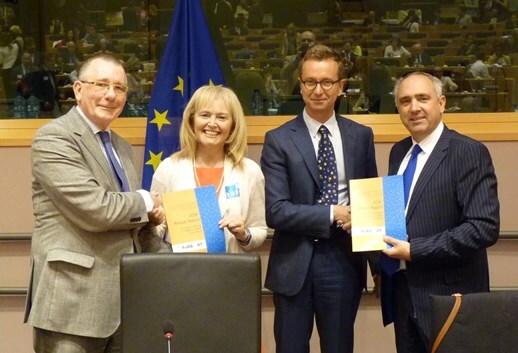 For instance, its report says that “FoRB guidelines are far from being fully implemented in the work of the European External Action Service (EEAS) staff, and Member States diplomats at the headquarters and in EU Delegations. During discussions and meetings with EEAS officials and Member States representatives, it was mentioned that the EU guidelines are not always consulted and used on the ground”. Below, World Watch Monitor highlights the report’s primary institutional and country-specific recommendations for the EU. Country-specific recommendations are provided for 10 countries, although not for Iraq, Syria, Yemen, Libya and Somalia, while are labelled “failed states” in relation to freedom of religion or belief. “[In failed states], warlords and groups like ISIS and many, many other armed groups determine everyday life. A central government might not even exist, and has either limited or no influence. Religious minorities have to fear for their lives daily, religious gatherings are under constant threats. “The EU and other organisations can only offer aid from time to time: that is the maximum. Having said this we see that the possibility is eminent, that we will face more failed states, more instability, more threats to peace and freedom of religion or belief. These are very turbulent years for many parts of the world, and this trend is increasing”. • Reconsider negotiating the EU’s Partnership Co-operation Agreement with Brunei given “the dire state of freedom of religion or belief and the adoption of the Sharia penal code”. • Press the UN for further investigations into the religious and communal violence. • Point out to Eritrea the consequences of international obligations under conventions it signed, such as the International Covenant on Civil and Political Rights (ICCPR). • Step up pressure on the Eritrean government in particular with regard to prisoners of faith and conscience. • EU must “mainstream” human rights in all aspects of its relations with Iran and in particular press Iran to ensure that its legislation and practices fully conform with Article 18 of the ICCPR. • Start a human rights dialogue with Iran. • Take unilateral actions or actions in multilateral-fora if there is a further deterioration in the freedom of religion or belief situation in the country. • Press the Maldives government on the situation of freedom of religion or belief and the possibility of providing technical support and assistance in the field of freedom of religion or belief. • Pressure the Burmese government to repeal discriminatory legislation as well as establishing a truly independent judiciary and an accountable police force. • Regularly raise issues with the Burmese government. • Periodically reassess the situation for [Muslim] Rohingyas and [Christian] Chins. • Link the imposition/withdrawal of restrictive measures or the awarding of economic incentives on reforms and progress made by the Burmese government. • Discuss the complete lack of freedom of religion or belief and terrible situation of religious groups and individual believers with key regional players, in particular China. • Address [situation] in political and human rights dialogues with [North Korea]. • Consider speaking to South Korea about introducing a religious component in the reconciliation dialogue with the North. • Include those engaged in gross human rights violations on the travel ban and asset freeze list. • Continue discussions with a view to a possible referral of the North Korean case to the International Criminal Court. • Follow up on the FoRB recommendations made in North Korea’s Universal Periodic Review. • Continue to work on a strongly worded annual [UN General Assembly] resolution, ensuring a serious engagement from key regional players. • Take the lead in pushing for a human rights contact group for North Korea, which … “should naturally also cover FoRB issues”. • Effectively use monitoring system and frequently report on the outcomes of this monitoring. • Focus intensively on the human right of freedom of religion. • Do whatever possible to improve religious tolerance in Pakistan. • Support the government to set up a special police force for the protection of religious minorities and … repeal blasphemy laws … and provide aid to introduce schoolbooks that promote religious tolerance. • Intensify efforts to prevent Pakistan from becoming a failed state. • Insist on the introduction of internationally recognised freedom of religion or belief standards in the Kingdom. • The EU’s commitment to human rights must be reflected in the language of the cooperation agreements it signs with Saudi Arabia, which is currently not the case. • Work with Saudi Arabia to stop financial flows from the Kingdom to radical individuals and organisations all over the world. • Engage global partners for a joint effort to roll back the Sudanese regime’s efforts of Islamisation and Arabisation. • Engage with Sudan with regards to the country’s upcoming constitutional changes.